Being a mom often means not spending enough time for personal pampering. Even when I have the time to go to the salon or spend the entire day at the spa, I often find myself choosing to stay home with my kids anyway. I’m sure many of you feel the same way too. That doesn’t mean you don’t deserve some pampering. More importantly, it doesn’t mean you can’t still be beautiful and take good care of yourself. There are many DIY beauty routines that you can do to take care of yourself at home. In this article, we are going to focus more on the beauty of our nails. You already know how to keep your skin and hair healthy and looking beautiful, so it is time to go through some DIY tricks that will help you maintain the beauty and health of your nails. Washing your hands frequently often result in drier skin; using hand sanitizer has the same effect too. What most moms don’t realize is that these recommended activities also dry up the nails. When you moisturize your skin, you also want to moisturize your nails. The same rubbing lotion or moisturizing cream can be used for moisturizing the nails. Simply make sure that you apply a moisturizing cream to the cuticles and nails in the morning and before going to bed at night. 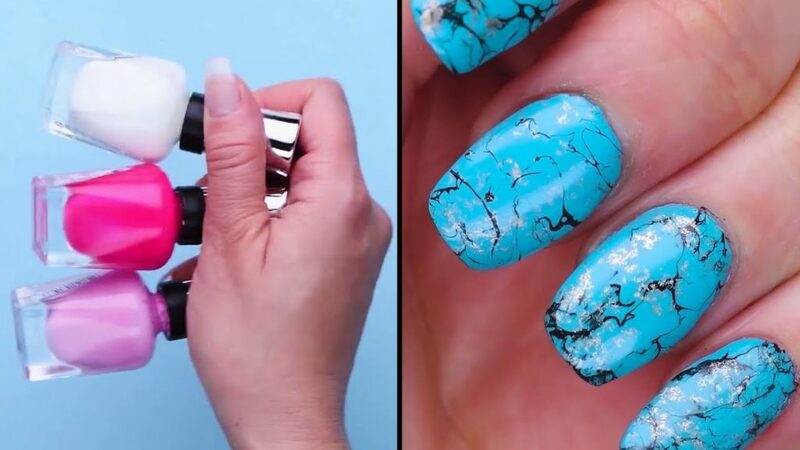 Your nails will look better and healthier with this simple routine. If you want to go the organic route, I highly recommend coconut oil for moisturizing the nails. It works great for your skin. It even helps your hair grow stronger and faster, so you know how well it can nourish your nails. Older nail polish and removers contain a lot of toxins. They are not harmful in the short run, but repetitive use over the course of several years will cause your nails to decay at a much faster rate. Besides, harsh polish and remover contains chemicals like toluene and formaldehyde, which are best avoided anyway. The good news is that many beauty brands now use fewer chemicals – if any – and safer ingredients for their polishes and removers. You simply need to read the labels when choosing the next one to buy and make sure you don’t get one with the harmful chemicals. There are alternatives too. Water-based polishes are becoming more popular on the market. They may not last as long as polishes that contain chemicals, but you will not be harming your nails while trying to look beautiful. Knowing the most common nail problems and how to solve them will make maintaining your nails at home a lot easier. There are some common problems indeed, including peeling nails and weak nails. In the case of peeling nails, you want to avoid washing your hands too harshly or applying the chemicals we discussed earlier. Weak nails that split easily can be a huge problem, but making changes to your diet and treating your nails properly will alleviate the issue. Moisturizing helps too, since moisturized nails are less likely to crack thanks to their higher – and natural – flexibility. Fungus nails are among the issues you want to take seriously. When you see signs of toenail fungus – materializing in the form of spots and a yellowish hue appearing on your nails – you want to treat the issue immediately. The same can be said for black nail fungus, which is the result of an infection or a broken nail not treated properly. This guide will help you prepare for these issues better. Speaking of adjusting your diet to prevent nail problems, making some changes to your diet also helps with maintaining the beauty of your nails. Your fingernails need certain nutrients to grow healthily. You need to make sure that you consume those nutrients as this will result in healthier nails in general. Consuming Omega-3 fatty acids is a great start. You can now find Omega-3 in a lot of food items, including oats, some fruits, and eggs. You also want to consume enough protein for better nail growth. Calcium is another crucial nutrient to consume for better nail health. Other nutrients serve specific purposes. Zinc helps keep the nails healthy by increasing its flexibility and preventing white spots from forming. Vitamin B also strengthens the nails, making it perfect for when you are dealing with brittleness and split nails. You also need to consume vitamins A and C to maintain the natural shine of your nails while keeping them moisturized. Some treatments are based on misconceptions. Rather than helping your nails become healthier and more beautiful, those treatments expose your fingernails to more risks and potential problems. Trimming the cuticles when cutting your nails, for example, is definitely not something you want to do. Cuticles are there to protect your nails from bacteria, which means cutting them increases the risk of an infection. Cutting too deep into the cuticles will make things worse, since it often ends up with exposed nails and pain from under the nails. Rather than cutting the cuticles, push them back using a soft pusher. For cuticles, what you want to remove is the dead skin cells rather than large chunks of the cuticle. Using abrasive materials to scrape the top of the nails is also best avoided. These are common practices of traditional manicure that are no longer recommended by experts. Last but certainly not least, give your nails enough chance to regenerate and be healthy naturally. The way to do that is by getting enough sleep at night. You cannot substitute a good night’s sleep with a nap because the body regenerates cells at an optimum level in the evening instead of during the day. Getting enough sleep at night is really good for your nails as well as your hair and skin. Healthy nails are beautiful nails. Now that you have these tips to use, maintaining the health of your nails and keeping them looking beautiful as ever will be very easy to do. Join the discussion on this topic with Lilac City Momma by visiting our contact page. There is nothing quite like the smell of fresh laundry, especially when the smell lingers for several days on your clothes or soft furnishings. Unfortunately, in many cases, this smell is artificially generated. The smell may last but that also means the chemicals in the detergent are still present. These are chemicals that can harm your body. In fact, you may be surprised at how many potentially harmful chemicals are in your household detergents. It’s not just you that these harsh chemicals can affect; the environment and the wildlife can also be affected. However, there are 3 simple ways in which you can freshen your laundry without using toxic chemicals. Companies are becoming more aware of the effects of chemicals on humans and the environment. That makes it possible to purchase specially formulated laundry detergent which will help your clothes smell fresh whether you’ve been using them for sport, swimming, or simply everyday wear. Look for detergents made with all natural ingredients. You should be able to find the full list of ingredients for your detergent, giving you confidence that you’re doing your bit for the environment and your family’s health. Baking soda is not going to make your clothes smell of flowers but it will help to remove odors and soften your clothes. It can also help to reduce the pH level of your water and can even prevent the buildup of limescale (if you have hard water). All you need to do is add ½ cup of baking soda to the detergent slot in your machine and let the machine do its job. If you do decide to use baking soda, it is a good idea to give your machine a rinse regularly. This will ensure all the powder has gone. A buildup of residue can affect the smooth operation of your machine. You can also use baking soda if washing by hand. However, you need to add it to the basin of water and let it dissolve before you add your clothes. Vinegar is a great accompaniment to your choice of detergent. You can add ¼ cup of vinegar (here is a great one!) to the fabric conditioner slot on your machine and let it wash like normal. However, it is important to add this to the rinse cycle of your machine; if it is part of the clothes washing cycle then your clothes are likely to end up smelling of vinegar. But, add it to the rinse cycle and it will simply soften your clothes; helping them to smell fresh. 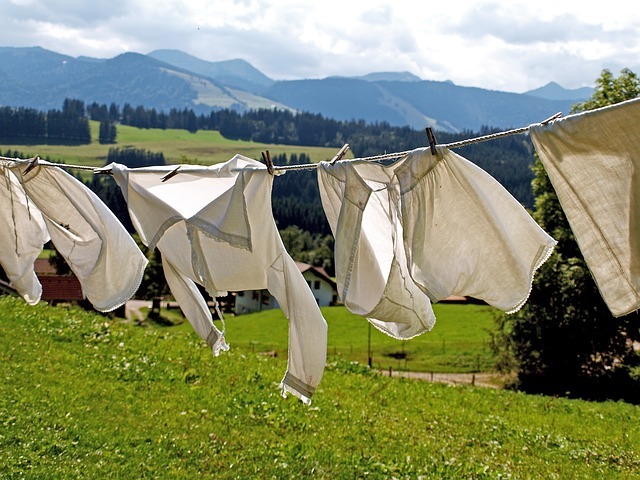 Don’t forget, that whatever you choose to wash your clothes with it is always a good idea to air dry them. This will help them to stay fresh and will reduce your need to iron them. Putting them in the dryer may be faster but it will remove the freshness that you’re trying so hard to keep. Using a natural detergent and the air drying method is definitely the easiest and best method to follow. Moving home can always be an opportunity for a massive amount of stress. Of course, the more that you plan and prepare, the more that you can reduce that stress. Whether you’re moving a few streets away or to another state entirely, then you might already be worrying about how you’re going to pack some of the more difficult items safely. Some obvious possessions are going to be trickier to pack than others. If you want to reduce your stress levels as much as possible, then here’s how you should get those challenging items packed away safely and securely. You certainly don’t want to arrive at your new home to find that your shampoo and cleaning materials have leaked all over your suitcase. That’s not going to be a good start! Avoid this by removing the lid and covering the opening with some plastic wrap. Then, simply put the top back on, and your liquids will be much more secure. If you were planning on throwing all of your cutlery drawers into a box and hoping for the best, then you might be making life harder and more dangerous. Kitchen knives can easily poke through boxes! Instead, use an old toolbox or a set of manila folders for the sharper blades, and you’ll all be much safer. Plates, vases, and ornaments are usually going to be your main concern. Remember the old trick of using clothes to fill up those fragile items so that they become sturdier; wrap them in clothes or towels, and use strips of cardboard as a divider. This will give you all the protection you need. If you’ve got a piano or plenty of white goods, or your couch could be used to house a new family member, then you’re going to need to use a professional mover. Check your local area for the best movers Charleston, and you’ll be able to relax a lot more. Never underestimate how much easier moving will be if you use a team of professionals to help. If you’re a big reader, then you already know how annoying it is loading up boxes of books. They’re heavy! Ideally, you want to either use smaller boxes for your books (too big and they become too heavy to move) or use suitcases with wheels. It will make them much more comfortable to transport. There are some traditional ways of storing your necklaces, brooches, and earrings to make for more secure moving. Egg cartons used to be a standard way of storing smaller items, as they are sturdy enough to protect your valuables. It might be better to wrap your jewelry in tissue and fold it all together in a secure safety box. Egg cartons are fine, but they’re not the safest option. 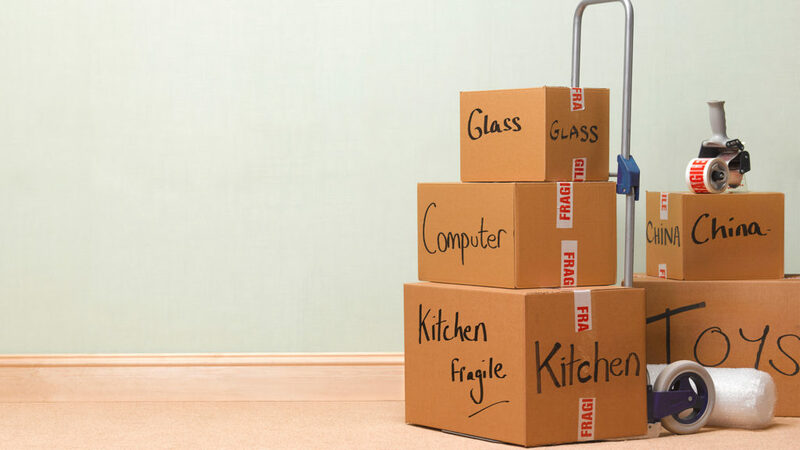 Moving to a new home is an adventure, so don’t let the stress ruin your move. Make sure that you’re as prepared as possible. The more that you plan in advance, the quicker you’ll be unpacking your well-packed possessions and working out where to put them in your new home. Ask any homeowner, and they’ll tell you the same thing: there’s always room for improvement. However, even with the benefits of comfort and additional value, few choose to pursue upgrades for their properties because of the high costs that it usually entails. The good news is that these types of projects don’t necessarily need to be expensive undertakings. 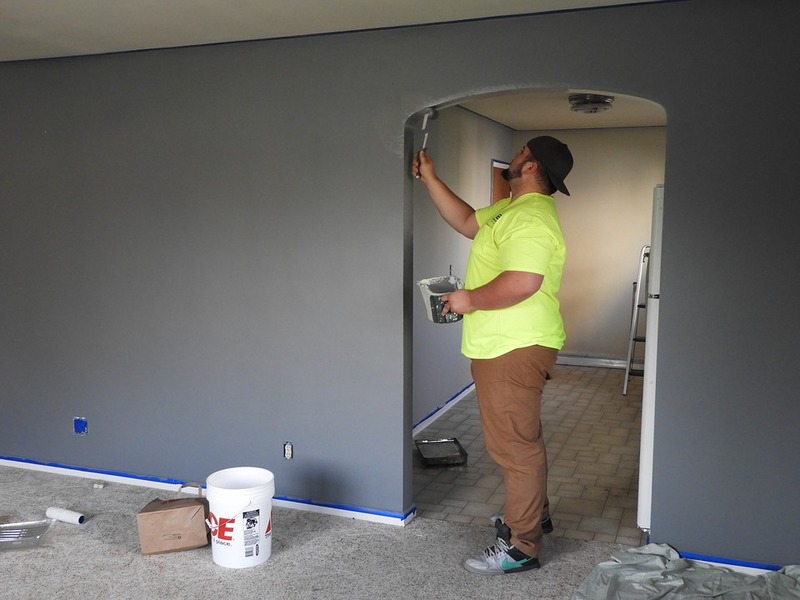 To this end, here are just a few money saving tips for home improvement projects. When tackling a home improvement project, you’re likely to need equipment, materials and specialist services like furniture removal. Before you make a decision, however, it’s a general rule of thumb to always to do research and carefully compare all available options first. Tedious and time-consuming as this might sound, you’ll be surprised at how much it can help minimize your expenditure and save money on the project by acquiring inexpensive alternatives. As much as we would like to improve our homes in their entirety, it just isn’t feasible or economical to do so. Instead, focus your attention on one project at a time. In this way, not only will you be able to speed up the process of its completion, but you’re far more likely to stay well within your allotted budget, giving yourself more financial wiggle room to move for when it is needed. These days, it’s not uncommon for many homeowners to take the do-it-yourself approach with improvements and upgrades. After all, why spend money if the task can be accomplished on our own? But while this practical strategy isn’t wrong, some jobs may require the expertise that only a specialist can provide. In these cases, it’s best to invest in their services rather than do it on your own. Doing so will not only make the task more comfortable, but you’ll prevent any mistakes that can be potentially costly to rectify. While it may be easier to replace old items like furniture and fixtures, it can cost a lot to buy them brand new. If possible, it’s good standard practice to find ways to refurbish and reuse the items rather than simply replacing them completely. Since they can take a good portion of the budget, this approach will allow you to save a lot more money, minimizing the project’s expenses even further. Regardless of the scope and scale of the home improvement project, the expenses towards any changes and upgrades can spiral out of control and break the bank if left unchecked. As such, it makes sense to tackle these types of projects as economically and pragmatically as possible. 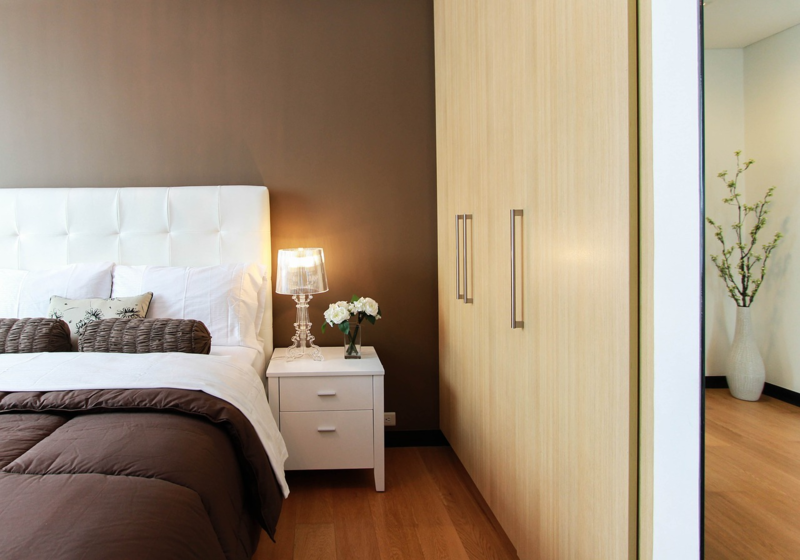 By keeping these tips in mind, not only are you far more likely to complete the project in a timely fashion, but you won’t have to spend a small fortune in doing so.